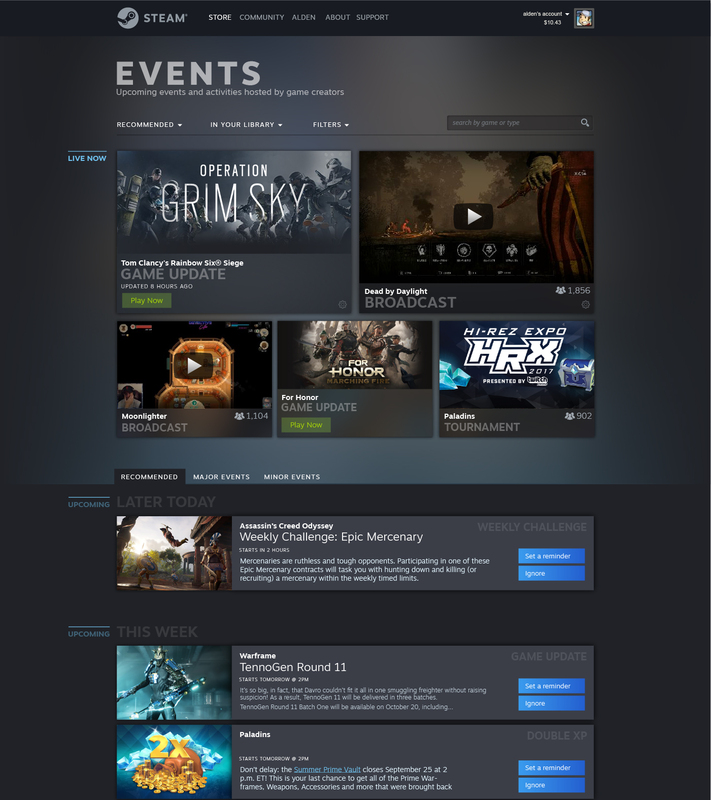 Individual event pages are basically like the current Steam announcements, except that you’ll now see the specific times and dates of the event on the side of the page, and you’ll have the option to ‘set a reminder.’ Those reminders can be the usual Steam notification, or you can set up notifications through emails, mobile apps, text messages, or your calendar app of choice. 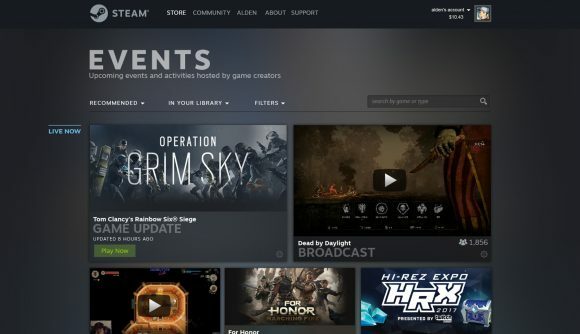 This will all tie back into the redesigned Steam library, too – so you’ll see in-game events and updates listed prominently as you’re browsing your games. 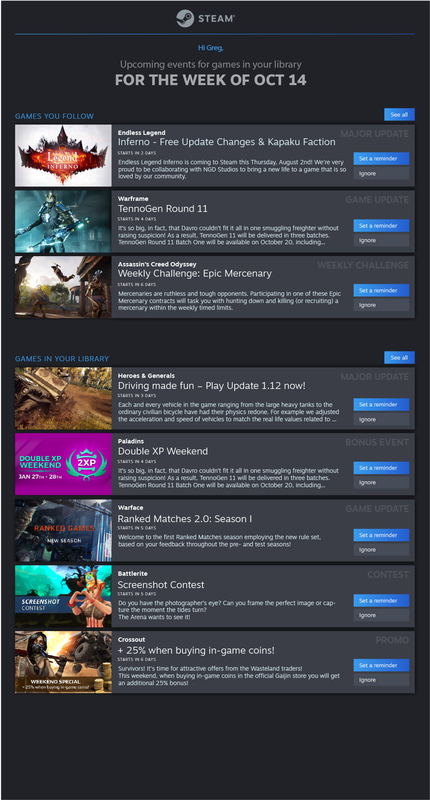 You’ll also be able to set up recurring emails about which events are coming up for the games in your library. 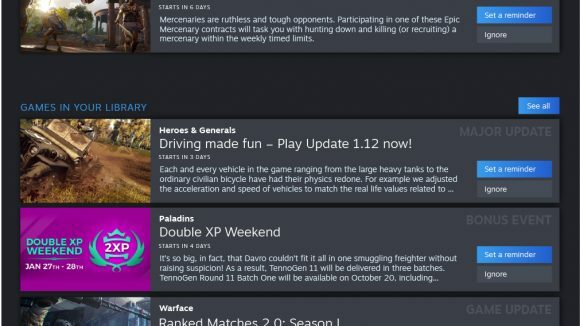 Store pages will also show events, and the game recommendations you receive will showcase current content as a bit of context to tell you why you should be playing this game now. 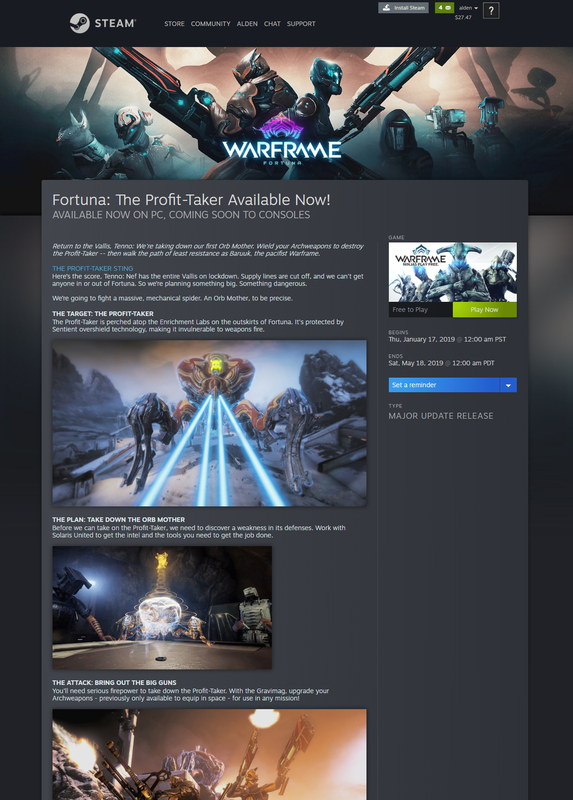 The images above will give you a closer look. 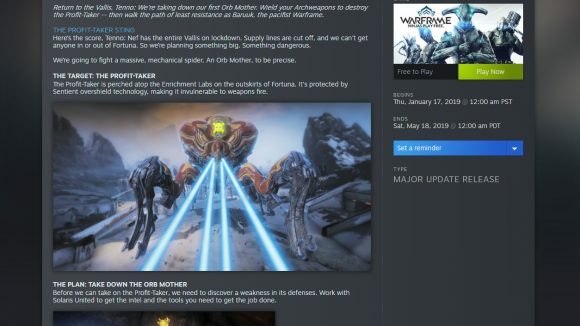 Valve has already been working with developers on the event system privately, but the upcoming open beta will offer a better – and much more public – chance to see how the system works. 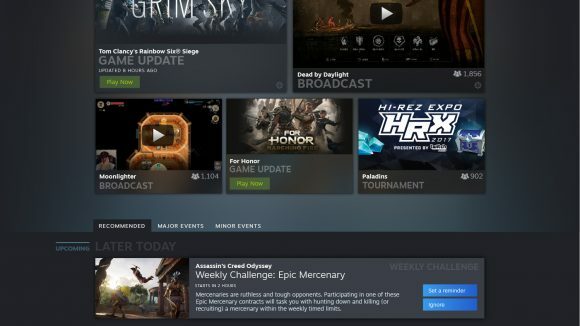 Steam’s UI redesign has been rumoured about and leaked around for ages, but between these events and the new library it seems we finally know what to expect.